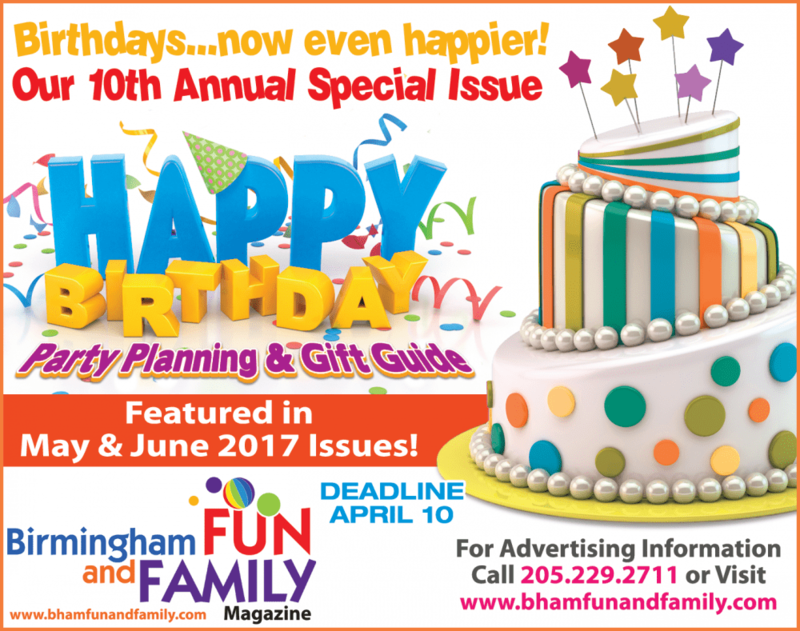 Please complete the Birthday Party Listings Form below, so we can secure your placement in the printed version in May and June. Also we will use this information to build our online directory of places to have a birthday in Birmingham. The listing is $50 a month for the months of May and June in the printed version, and the listing is FREE with a quarter page or larger ad in the printed edition. A basic listing will be on our web site fore the remainder of the year with the information you provide below.